Peter Kirby's Straw man "Best Case for Jesus:" Talmudic Evidence. Here I will deal with his straw man on the Talmud.Remember Kirby is doing a straw man argument, making the alleged "best case" for Jesus historicity so he can tear it down and say "I made the case and it doesn't stand up to my fierce onslaught." That's what I expect from a coward who is so threatened by better scholars that he chases them off his message board with the flimsy excuse that they have too many posts on the bard. So here we have the section where he makes his straw man version of the Talmudic Evidence for Jesus' Historicity. This is the Jewish tradition regarding the trial of Jesus, found in the Babylonian Talmud, b. Sanh. 43a. While this text was finalized sometime in the fifth or sixth century, by its nature it incorporates many traditions that are very old, as it collects and quotes traditional commentary of the rabbis. Kirby then draws again upon Instone-Brewer  in discussing the date of this writing. He argues that the date of the trial and excision being so close to Passover and the charges (sorcery not in the NT) would not be brought by a Rabbi or Pharisees since: (1) Rabbis and Pharisees would seek to discourage activity so near the Passover, (2) they would want the charges to reflective of Torah and rabbinic halakha (teaching on the law). The account is not coming from new testament and not made up by Rabbis since they would make up time and charges they wanted. This implies a real event recorded in the memory of the common people and echoed in Rabbinic literature. Kirby makes the point that the event would have been remembered f0r the unusual date, the charges reflect would not have been interpolated by Christians. So this is good historical evidence for Jesus' existence. That's ok for a beginning but that's the end of his argument. That is pathetic. There is a far more devastating case to be made. I will not go into great detail but just list a few points he could have raised that would strengthen the case tremendously. The first point involves his own source for documentation. one thing that makes the case for Jesus from the Talmud so hard o prove is the deniability od the rabbis. They will argue that is is not Jesus of whom the text speaks. They were afraid of being persecuted by Christians, not without good reason, so they censored the literature themselves to take Jesus out of it. We know they did because we copies of the pre-censored texts. In some cases they used epithets to talk about him, such as "such a one." When we e see these names we know it's probably Jesus of whom they speak. It does give then plausible deniability but there are a couple of reasons why we can know it's him. One of themajor reasons is we have some of those documents and two of the scholar who are major in making this argument include Dr Peter Williams and Dr David Instone-Brewer "look at the Munich Talmud, which contains traditional Jewish teaching, and discover how even the deleted text provides evidence for Jesus' crucifixion!" Kirby researched this guy why didn't he know that? On the video seen below (fn 4) Instone-Brewer shows that from one of these pre-censored documents they can show that the text is derived from the original charge sheets read against Jesus. They can show this because the term hanged in the pre-censored document was changed to "stoned" in the censored version. Hanged means crucified. So they changed it because (he thinks) as not to reflect the Roman method of execution. I think it was to distance it from the Jesus story. If they are right that is direct proof Jesus existed in history. I am counting that as two points. (1) the basic fact o censoring. hat are they censoring? If it's not to Jesus out? Then (2) that specific example of the charge sheets, (3) Celsus. So geneological connections tie the figure of Pantera to Jesus of Nazerath. Of course mythological figures would not have geneological connections. Jesus Mother, brother, and family are mentioned throughout many sources. Celsus demonstrates a connection to the material of the Talmud, indicating that that material about Jesus was around in a leaast the second century. Since Jewish sources would not have been reidaly avaible to Celsus it seems reasonable to assume that this information had been floating around for some time, and easier to obtain. Therefore, we can at least went back to the early second, late frist century. These three reasons in addition to Kirby's point. (1) the charge sheets, although that is an expansion of the point Kirby made. (2) the fact of the censored documents, (3) the evidence of Celsus. That is really the nail in the coffin of mytherism. the Be Thinking Blog reflects a much bigger body of literature demonstrating Jesus in the Talmud, something else Kirby didn't want to talk about. 'Jesus of Nazareth: a magician and false prophet who deceived God's people?' by Graham Stanton; in Jesus of Nazareth: Lord and Christ: essays on the historical Jesus and New Testament Christology, ed. by Joel B. Green and Max Turner (Grand Rapids, Mich: William B. Eerdmans, 1994): pp.164-180. (Grand Rapids: Eerdmans; Carlisle, Eng: Paternoster Pr, 1994). A detailed discussion of the charges against Jesus in other literature. Let us imagine what a Jew- let alone a philosopher- might say to Jesus: 'Is it not true, good sir, that you fabricated the story of your birth from a virgin to quiet rumourss about the true and in savoury circumstances of your origins? Is it not the case that far from being born in the royal David's city of bethlehem, you were born in a poor country town, and of a woman who earned her living by spinning? Is it not the case that when her deceit was uncovered, to wit, that she was pregnant by a roman soldier called Panthera she was driven away by her husband- the carpenter- and convicted of adultery?" (57). "I could continue along these lines, suggesting a good deal about the affairs of Jesus' life that does not appear in your own records. Indeed, what I know to be the case and what the disciples tell are two very different stories... [for example] the nonsensical idea that Jesus foresaw everything that was to happen to him (an obvious attempt to conceal the humiliating facts)." (62). "The men who fabricated this genealogy [of Jesus] were insistent on on the point that Jesus was descended from the first man and from the king of the Jews [David]. The poor carpenter's wife seems not to have known she had such a distinguished bunch of ancestors." (64). "What an absurdity! Clearly the Christians have used the myths of Danae and the Melanippe, or of the Auge and the Antiope in fabricating the story of Jesus' virgin birth." (57). "After all, the old myths of the Greeks that attribute a divine birth to Perseus, Amphion, Aeacus and Minos are equally good evidence of their wondrous works on behalf of mankind- and are certainly no less lacking in plausibility than the stories of your followers." (59). The mention of this particular pair of charges, in this order, is hardly likely to be a coincidence. To resolve the internal difficulties of the text and its parallels elsewhere in the Talmud, Instone-Brewer proposes that the original form of this tradition was simple: “On the Eve of Passover they hung Yeshu the Notzarine for sorcery and enticing Israel.” The proposed expansions before and after the charges explain the unusual date of the execution, in that an especially lenient period allowed people to come to his defense and that his execution occurred at the last possible time, while still occurring publicly while crowds were there for the holiday. The origin of this tradition is also unlikely to be rabbinic or Pharisaic. Although it has been preserved in rabbinic literature, there are two reasons why it was unlikely to be authored within this movement. First, a rabbinic author or their Pharisee predecessors would want the order of the charges to mirror Torah and rabbinic halakha. Second, rabbinic traditions and the major Pharisaic schools tried to dissuade people from working on Passover Eve, so they would not have invented a tradition which said that they decided to try Jesus on this date. Because the Jewish leaders of the first century were in a position to know the circumstances of such an execution, which would have been remembered for taking place on an unusual date, it is plausible to see this rabbinic tradition, late as its written record may be, as stemming from the historical Jewish memory of the execution of Jesus on Passover Eve with charges of sorcery and leading Israel astray. You could even say that it’s more probable than not, in which case what we have right here is an argument for the historicity of Jesus. I value it more highly than both Josephus and Tacitus, as it certainly did not come from a Christian interpolator (unlike Josephus) and actually has a decent argument to the effect that it did not derive from the Christian tradition about Jesus (unlike Tacitus). The absence of an ancient tradition questioning the existence of Jesus isn’t exactly telling, positive evidence for us today. While Josephus could be devastating evidence for the historicity of Jesus, it seems more fair either to regard the text as moderate evidence against on account of silence regarding Jesus or simply as too difficult a textual question to hang your hat on. Tacitus likewise is only faint as direct evidence but does raise a good question: with references like these, does doubt have anything to recommend it? Finally, even though its late date of compilation makes it impossible to rule out the possibility of a Christian source to the tradition with certainty, the Jewish tradition (recorded in the Talmud and with an echo in Justin Martyr) provides actual evidence for a historical Jesus. This tradition says that Yeshu the Notzarine was hung on the Eve of Passover, accused of sorcery and enticing Israel to idolatry. Continuing my attempt at a best case for the historicity of Jesus, I’d proceed directly to the Gospel texts and related traditions. They are the most extensive source of details regarding the life of Jesus, so our estimation of them is an essential part of the process of evaluating the evidence. The genre and purpose of Mark is a vexing question in New Testament studies. There’s still a plausible argument to be made that the author is a fairly unsophisticated writer, who has padded out his narrative of the ministry of Jesus with little stories here and there that he has heard (alongside some of his own inventions), and the best case for a historical Jesus might capitalize on such an argument. 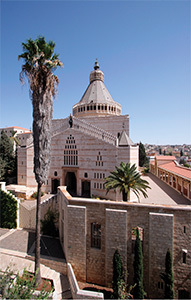 The incorporation of Aramaic material, by an author that seems more likely to know only Greek and Latin; the inclusion of obscure Palestinian geography, by an author that gets the basics wrong; the references to the family of Jesus, by an author that has no use for them; all of this suggests an author that has taken up bits and pieces of prior tradition while creating his story. Richard Carrier makes a valiant effort to show that Mark 15:21 is “just as likely on minimal mythicism and on minimal historicity,” offering that the passage here may be intended as a symbolic reference to Alexander the Great and Musonius Rufus, a Stoic philosopher (On the Historicity of Jesus, pp. 446-451). Only the Gospel of Mark contains this reference to Simon as “the father of Alexander and Rufus.” Right away we can then form two objections to Carrier’s tentative hypothesis. First, the other example of a symbolic message in the Gospel of Mark (“the number of loaves and baskets in Mk 8.19-21”) had no trouble getting copied in Matthew and Luke, proving that the evangelists were capable of copying these symbolic messages. The omission from the other synoptic Gospels suggests that, even at the early date of the writing of Matthew and Luke, this reference in Mark was not understood as symbolic. Second, it’s just a bit of a stretch to suggest that two names centuries apart, who could not actually be sons of Simon of Cyrene, are just as likely an interpretive option as, say, two names of people that were known to the audience and that were sons of Simon of Cyrene, just as Mark 15:21 actually says. Carrier asks that we should always look for “strong external corroborating evidence (such as we have for the existence, at least, of Peter and Pilate), in the absence of which, for any detail in Mark, we should assume a symbolical meaning is always more likely” because of all the known examples in which Mark tells stories with “some esoteric allegorical or symbolical purpose” (On the Historicity of Jesus, p. 451). We should distinguish between allegorical fiction and false tales, in that the author of Mark may have been a fabulist who wanted his stories to be believed and thus authenticate the good news of Jesus as the Messiah. Thus the evidence regarding stories constructed out of the Septuagint is evidence of falsehood of some kind but not necessarily evidence of allegory. As popular literature with the purpose of promoting belief in Jesus Christ, with a near-contemporary setting, the Gospel of Mark could even be argued to make more sense as unabashed invention, meant for belief, rather than as a sophisticated symbolic tale. But there is a trace of evidence that could help us to place Alexander and Rufus in history, or at least the latter person. In the letter of recommendation for Phoebe, also known as Romans 16, we find the words of Paul: “Greet Rufus, chosen in the Lord; and greet his mother—a mother to me also.” Here we learn that there was a Christian named Rufus known to Paul. We also hear about his mother but not his father, which might suggest that she was a widow. While it is impossible to prove, it is plausible that this Rufus and his brother Alexander were sons of Simon of Cyrene. This in turn means that the author of the Gospel of Mark, by drawing attention to Alexander and Rufus, who were known to Mark’s audience, could easily be exposed as a liar if they had never heard of their father carrying the cross for Jesus. This suggests the existence of a very early tradition which, like an early tradition that Jesus had a brother named James, would lead most people to suspect that there was a historical Jesus. there is some dynamite evidence in this post, The Instone-Brewer evidence is some of the best evidence for historical Jesus that there is. While it's a good article, you should format more clearly to show who you're quoting and when. For example, I eventually figured out that the large block of text at the end (with its own blockquote) was really from Peter Kirby, but you don't introduce it that way (or introduce it at all). Some parts of the article before the footnotes, I can't tell for sure if they come from you or Kirby or someone one or both of you is quoting. Nice! It's so great! I like it! I think I did originally Jason don't know what happened.